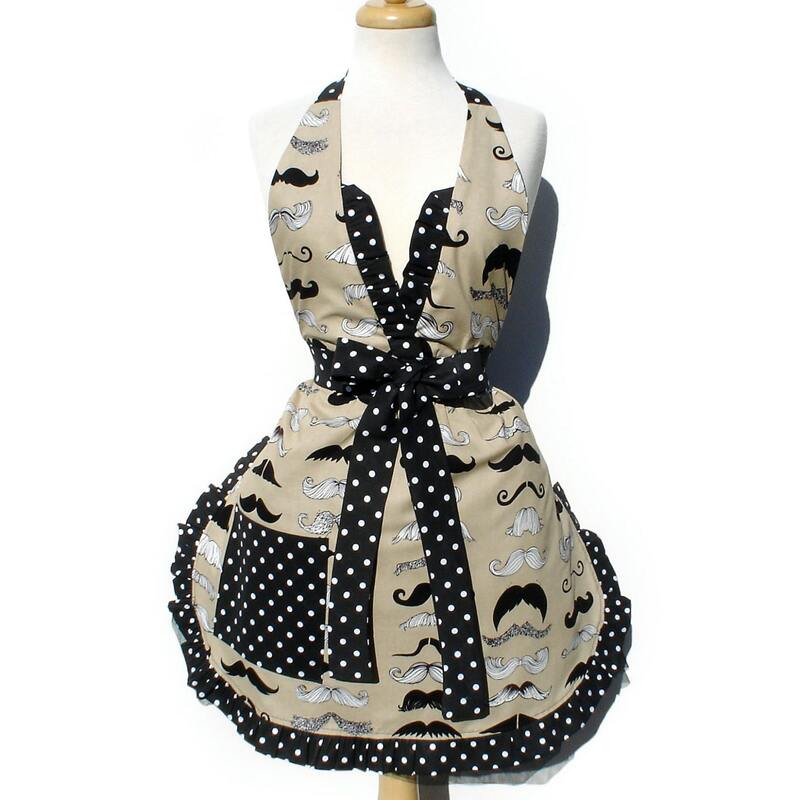 If you couldn't tell already I have this thing for mustaches. What with my husband being in a band named 'Stache and all it kinda comes with the territory. Lately mustaches have been this it thing. Not entirely sure why but it's great publicity for the band so who cares! 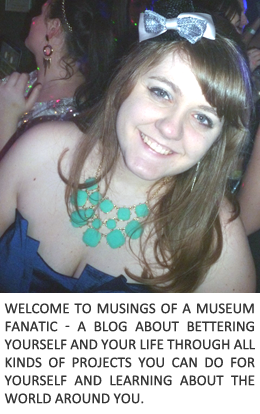 So I've decided to share today some of my favorite mustache-y things I've been finding all over the interwebs! Duck Tape who wouldn't love mustache duck tape? 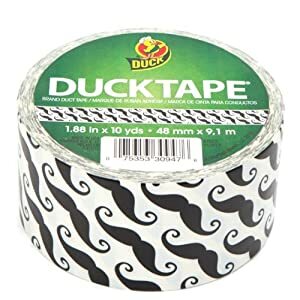 Lately Duck Tape brand has been coming out with some killer designs and colors, so if mustaches aren't your thing they've got you covered. 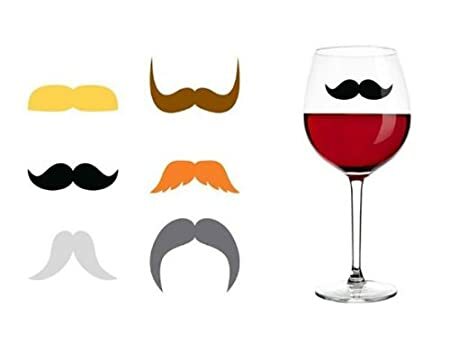 For the sophisticated friend of yours some mustache wine markers. I like the idea of these better than the round the stem ones. I always feel like I'm going to break those or ruin them by washing or something. Every time I see this post on Pinterest it cracks me up. Kevin wouldn't be the one to do this to our kids I would be doing it. I was totally that kid who made sure to dress up their dog in the little raincoat or sweater ... it was great! As you saw the other day with the cookies this is the second part of my early Christmas present from Stephanie. 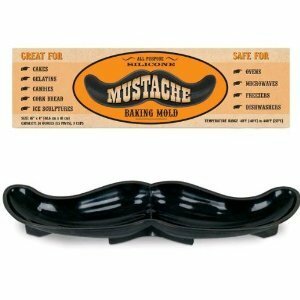 A lovely mustache mold. I'm not sure exactly yet what I should use it for. I was thinking I could make jello for Christmas but that's a lot of jello for both parent's houses and it would look odd to just take one side to each haha. Any suggestions? This is almost entirely how Stephanie and I looked this past Black Wednesday. We got all stached up! My new little cousin from Kevin's side. Sorry that's not the best photo but ridiculousness none the less. You mustache a lovely day! Betsy stop trying to make "stached up" happen! It's not going to happen! lol I will forever and ever think of Mean Girls every time you say it. Obviously I love allll of this. Guess what? I broke those glasses later that night. Whomp whomp. Must find new ones! I think stached up is sooo going to be a thing!!! So more likely than velvet!!! That duct tape is the freaking bomb. New follower from the hop. Hope you will hop over and follow back! That baby stash is hilarious!